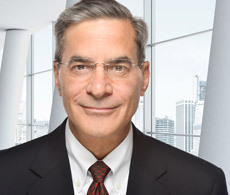 Mark E. Hoffman is a partner at Hoffman Clark LLC, an integrated certified public accounting and consulting firm specializing in financial analysis and evaluation for business and intellectual property matters. Hoffman Clark provides objective analyses across a spectrum of strategic and forensic issues. Mark has extensive experience advising clients on financial accounting and evaluation processes. His expertise extends to business enterprises, product lines, intellectual property (patents, trademarks, copyrights, and trade secrets), and transactions. He provides expert consulting services ranging from valuation, economic impact analysis, and IP licensing to financial strategies, forensic accounting investigations, and tax functions. Mark has testified as an expert witness in federal, district, and state court and arbitration proceedings relating to economic, damages, and business matters. He has also served as an Adjunct Professor on the Faculty at Washington University in St. Louis.